The Fiat Lancia Club's annual convention will be held in Nashville on July 21st through the 24th. 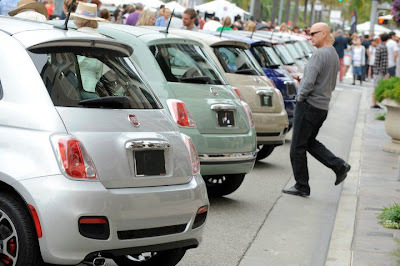 If you own a new Fiat 500, you can not miss this event! The presenting sponsor will be Fiat USA. They'll bring the Fiat Mobile Experience, which is something you really have to see. If you don't have a Fiat, but are curious, here is your chance to find out what it's all about. As always love the blog and it's always helpful. Yes, Fiat will be there and last I heard, I'm expecting some folks from corporate. Of course, things can change, but I am optimistic.